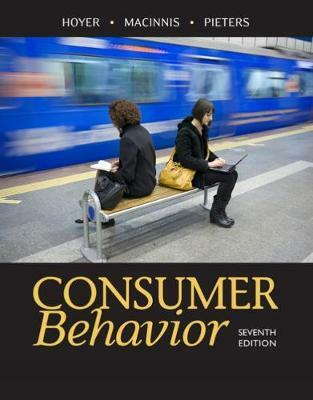 The popular CONSUMER BEHAVIOR, 7E draws key concepts from marketing, psychology, sociology, and anthropology to present a strong foundation and highly practical focus on real-world applications for today's global business environment. With this new edition, you examine the latest research and current business practices with extensive coverage of social media influences, increased consumer power, and emerging neuroscience findings. You also study controversies in consumer decision-making involving money, goals, emotions, charity, health, materialism, and sustainability. This edition increases its emphasis on social responsibility and ethics in marketing, scrutinizing both the dark side and constructive possibilities. With even more real-world examples and thought-provoking application exercises, including new chapter-opening examples and closing cases, CONSUMER BEHAVIOR, 7E provides a thorough, yet enjoyable guide that enables you to master the skills you need.